On November 6, KaBOOM! 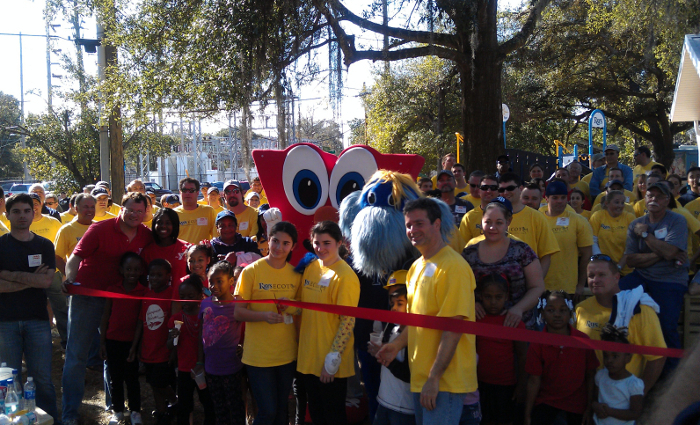 is building its fifth playground in partnership with the Tampa Bay Rays, the first Major League Baseball franchise to build playgrounds with us! 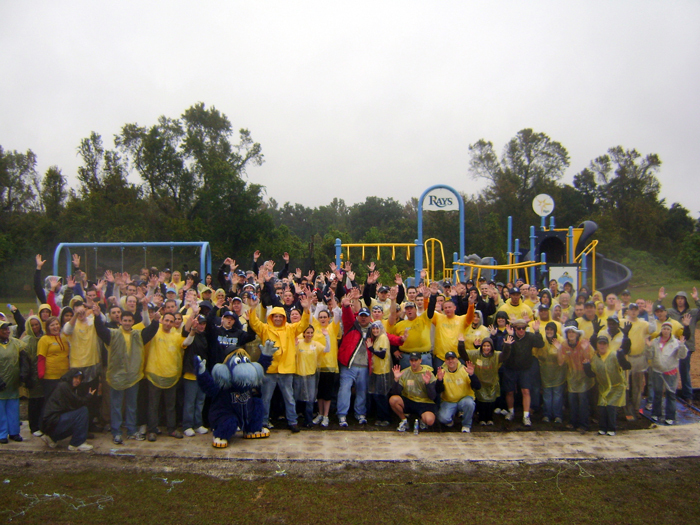 The entire Rays front office will once again join us as volunteers on the build. 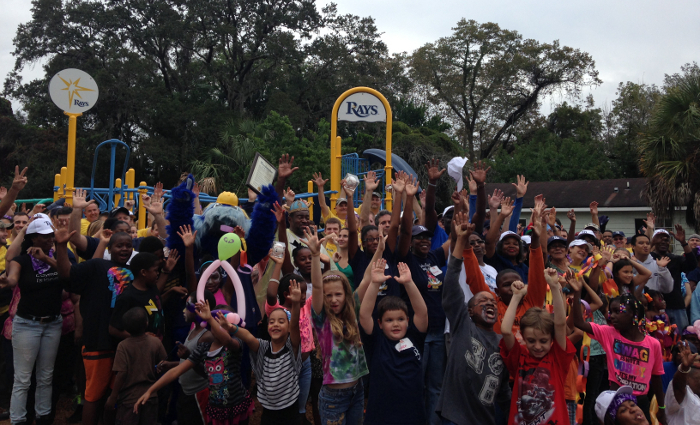 To celebrate our fifth playground project with the Rays, Raymond, the team’s lovable mascot, shared some of his favorite places to play! Just like KaBOOM!, Raymond knows kids and families love to play everywhere—in addition to the playground and the baseball diamond! We call that playability, the extent to which a city makes it easy for all kids to get balanced and active play. 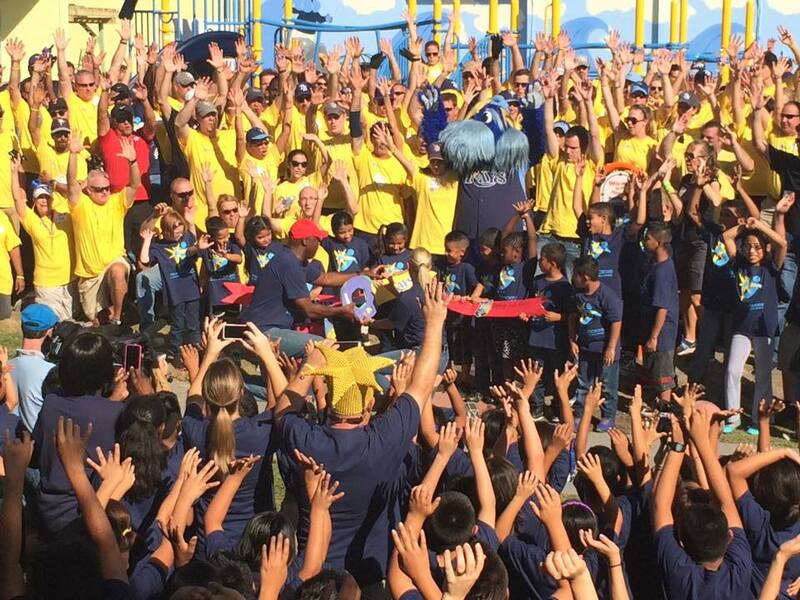 The Rays initiative to get involved with KaBOOM! stems from the organization sharing a core belief with KaBOOM! that children need a place to play every day in order to be active and healthy. A lack of play can have profound consequences for kids physically, socially, and cognitively. Over the past five years, the Rays and KaBOOM! have built playgrounds with the Camp Cristina YMCA, James B. Sanderlin Family Center, Layla’s House YMCA, Citizen’s Alliance for Progress, and Team Success: A School of Excellence. 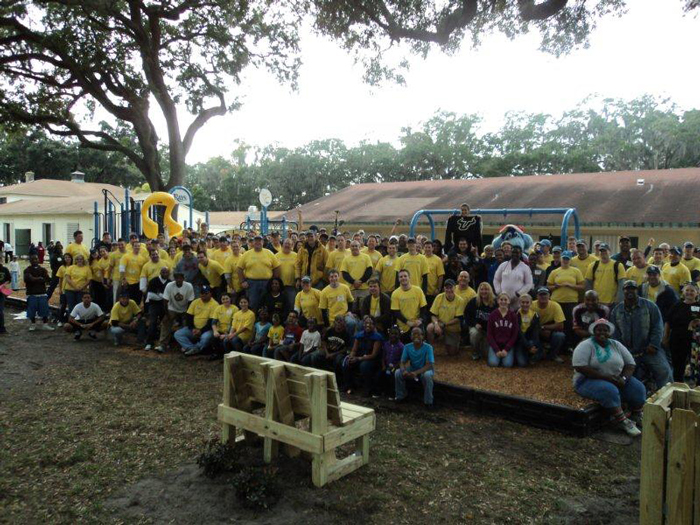 Take a look back at these playground builds!